Songs of Eretz Poetry Review is pleased to announce that Frequent Contributor Aparna Sanyal has her first poetry collection pending publication, Circus Folk and Village Freaks. 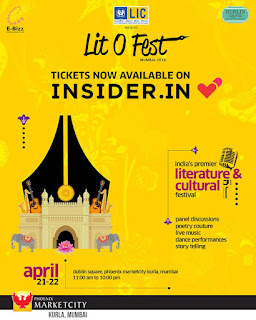 The book will be formally launched at the Indian Lit-O-Fest being held in Mumbai April 21, 2018. Aparna will perform as a Spoken Word Artist at the festival. Songs of Eretz is further pleased to announce the recent publication of five of Aparna’s poems in other venues. The Spring 2018 Edition, Third Anniversary Special of the Gyroscope Review contains her “Old Faithful” & “Freed from Need” & “Interchangeable”. In addition, “Wild Things” by fellow Frequent Contributor Yoni Hammer-Kossoy appears there http://www.gyroscopereview.com/home/issues/. Issue 25 of Smartish Pace contains Aparna’s “Wraith and Paper Tigers', the winner of the 14th Beullah Rose Poetry Prize, and “The Fog”, a finalist in the same competition http://www.smartishpace.com/issues/.